Since packers and movers is the most unpredictable form of industry where you can’t even calculate your proper moving cost. Because it depends on several factors. So at ShiftinIndia we try to filter out all the factors and get all the estimated cost of moving for our client. We have placed perfect data on our platform after getting from several moving sources. So that you can prefer our best packers and movers Delhi price.. If you want to check the approximate packers and movers Delhi cost for home shifting, vehicles shifting, office shifting. So I think your concern is right because without knowing the proper cost for moving you can't prepare for local relocation, long distance relocation. Here budgets play a vital role during relocation. So it would be a wise decision if you make your moving budget before. 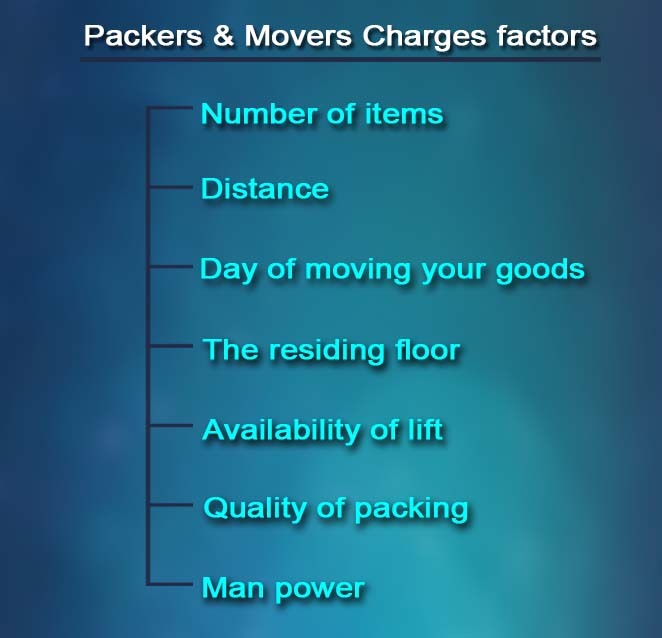 How to evaluate movers and packers Delhi charges? Are you planning to shift from one place to another? Do you know the packers and movers cost in Delhi? If no, then you are at the right platform and we will help you to know the charges or cost. As the industry of packers and movers is highly opaque and disjoint from ages, this is more than a $2 billion dollar industry.Today, many people are not aware with the standard moving safety and process. There is a lack of knowledge that could possibly cost them more stress and money than imagined. We are a leading packers and movers in Delhi that have successfully resulted in many house shifting service locally and internationally in the past few months. We assembled different packing quality, customer experiences, and movers work at a minute level.We are sharing the data to formulate the packers and movers in Delhi charges that will give you an idea about the price you need to pay for the professional and reliable services. We have analysed various data points and selection with the shifting experts and identified more than 10 major factors such as distance, household goods, manpower required, packing, shifting timings, physical activity for unloading and loading, insurance, vehicle type, taxes, storage and additional services. How do packers movers charge for shifting services in Delhi? Household goods:The Household belongings quantity decides the type of vehicle required for your shifting.A truck can range from 18 feet DCM to small Tata Ace to. The costing can range from Rs. 1000 to 3500 based on the quantity of trips. Packing: In the local relocation, the shipment time is approximately 1 -2 hours and the chances of goods getting damaged is very less. Usually, the packing is done only for the fragile, kitchen crockery, and electronic items. They are wrapped in papers and are packed in cardboard boxes. This kind of packing costs around Rs. 1000 to Rs. 3500 approximately. Also, the packing of furniture and other items may charge additional that depends on the amount of packing material used. Manpower:These are the people who take ownership of your goods. They unpack, load, and pack them. The professional moving staff charges Rs. 400-500 per person. Below mentioned are the manpower required for a home shifting. Manpower play a vital role during local home relocation, office relocation, furniture relocation etc. Additional Services: Optional- Packers and movers don't deal with disassembling and assembling of the electronic items. If you require, they can enable an electrician on the day of moving. After evaluating many trusted packers and movers, we able to prepare a best packers and movers Delhi estimated cost chat which will definetly help you to find your best moving company within your moving budgets. Physical Activity Involved: Optional- If the elevator is not available or if the distance between truck and your house is more than 50 meters or if roping is needed then an amount of Rs 500 to Rs 1000 is increased. Shifting Timings: Optional- In the city, vehicle mobility is limited from 8.00 am to 12.00 in the afternoon and 4.00 pm. to 9.00 pm. When you are required to relocate between these timings you need to pay a Chalan of Rs 600. Tips:Optional- Most of the local relocation staff request for a tip. Usually you can offer approximately Rs. 50–100 per person. After the evaluation of various local house shifting and counting on customer experiences, quality of the staff and household safety, below mentioned are the mean prices for local house shifting. However, distance does not matter in many situations. The logistic cost is the same if you are shifting either to a small distance or long distance. But let us clear one point that if you are relocating from one floor to the other in the similar apartment then transport expense is reduced. Distance- It’s not the distance that is the deciding factor but also the city that you are relocating to.For example, if you are relocating a 2BHK from Hyderabad to Bangalore a shared vehicle would cost approximately Rs. 14k - 20k and if you are relocating the same house from Hyderabad to Nagpur it would price you approximately 15.5k to 21k. Vehicle Type- It depends on the type of vehicle that you prefer to select– Dedicated or shared truck. If you select for a shared vehicle, the vehicle gets usually shared between three to four households and the delivery time is longer as compared to usual. If you want the delivery of your to be fast and don’t want to share the vehicle, then you must select for Dedicated truck. It will cost an additional amount of Rs 5000 - 15000 more depending on the distance. Packing- The transit time is directly proportional to damage to goods. Hence, the packing must be done with caution for the electronic, glass, furniture and crockery items. It will cost from Rs. 3000 - 8000 for the standard items. If you have any delicate artefacts it can add up to Rs 10000.It can take up to 30 percent of the cost. Unpacking- In long haul movements unpacking is usually not done at the target city. The extra charges are applicable for this.It costs approximately Rs. 1000–4000. The packing, unloading, loading and unpacking will contribute around 20–25 percent of the cost. Other Taxes- The truck has to cross the borders. The vehicle passes through state highways hence, the standard toll charges can influence your transportation charge. Insurance: Optional - Insurance is an optional but it is advisable to take insurance for a non-local movement. We suggest you to take insurance for your valuable items.It costs you 3 percent of the declared goods value. Storage: Optional- Professional movers and packers offer storage solution. Many packer and movers offer free storage for 15 days and charge a nominal price of Rs, 100-250/day.